Heart Diseases are very common now a days and it is the biggest reason of rising deaths in India. In Every 30 sec an individual dies of Heart attack. Heart diseases are prevailing due to our changed lifestyle and food habits. 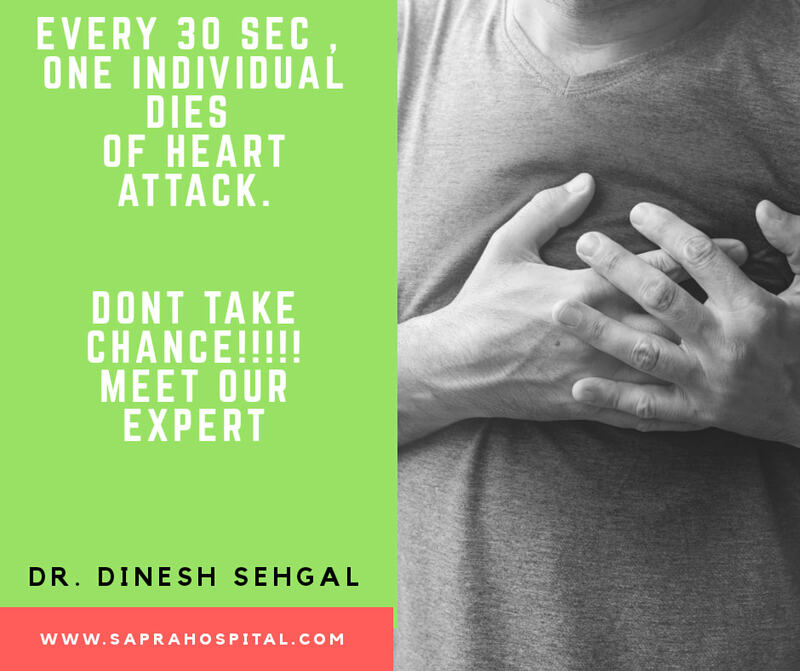 When we talk about heart disease, we basically talk about CHD (Coronary Heart disease) and it is also called as CAD (coronary artery disease). CAD is a condition in which the arteries that take blood to the heart are narrow or blocked. This happens when cholesterol and fatty material, called plaque builds up inside the arteries. Plaque deposited due to too much fat and cholesterol in the blood, high blood pressure, smoking and Diabetes, obesity, less physical activity. When an artery is blocked it is difficult for the blood to flow and reach to the heart which causes chest pain and a heart attack occurs. Lowering cholesterol and blood pressure: High BP and Cholesterol can cause heart attack. should have regular checkups for cholesterol level and blood pressure. We should have healthy diet that must include fruits and vegetables, whole grains and must low in sugar and trans fat. We should do physical activity for at least half an hour to stay healthy and to lower the risk of heart attack. Stress can also be a reason for heart disease. So we should manage our stress level by doing meditation, yoga and deep breathing. Consult your doctor if any of the symptoms occur.